Industry group ITRI is calling for refined tin demand to grow at a slower pace this year due to weaker solder demand in China. Global refined tin demand is forecast to grow at a slower pace this year due to weaker solder demand in China, ITRI said on Wednesday (September 27). Last year, total refined tin demand rose to 348,900 tons, growing 3.3 percent compared to the previous year. But ITRI estimates that growth will slip to about 2 percent in 2017. The forecast follows a survey sent to 136 companies that account for 46 percent of global tin consumption. In 2016, 48 percent of tin was used in solder, with use in the automotive and solar power industries increasing significantly. 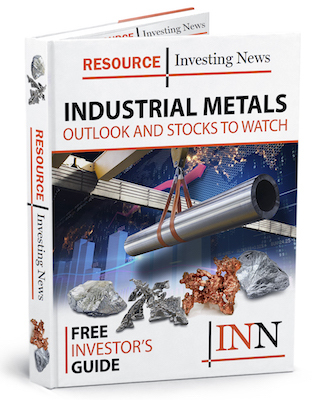 “The strong growth in tin use in 2016 to a large extent reflected the second half recovery of tin consumption in solders inside China after the short-lived contraction of demand in 2015,” ITRI Markets Manager Tom Mulqueen told Reuters. Behind solder, the chemicals industry was the second-largest consumer of tin last year. Demand from that sector grew 5.5 percent last year, but this year Chinese demand could be affected by government-mandated environmental inspections. So far, however, ITRI says demand has been better than expected. “Latest reports for the latter half of 2017 suggest tin usage in chemicals and tinplate in China has been stronger than the 1.3 percent indicated by our survey results,” it added. Analysts polled by FocusEconomics said recently that sustained tin production in Indonesia, the world’s largest producer, has kept tin from matching the price rallies observed in other metal markets. “With the prospect of Chinese tin production flooding global markets, tin prices are expected to soften towards the end of the year, as fears of ore depletion recede and short-term supply increases become the main driver of prices,” the analysts said. Looking ahead to the next few months, the FocusEconomics panelists estimate that the average tin price for Q4 2017 will be $20,063 per tonne. The most bullish forecast for the quarter comes from Standard Chartered (LSE:STAN), which is calling for a price of $21,500; meanwhile, Euromonitor International is the most bearish with a forecast of $17,433. On Wednesday, tin prices closed flat in London at $20,700.